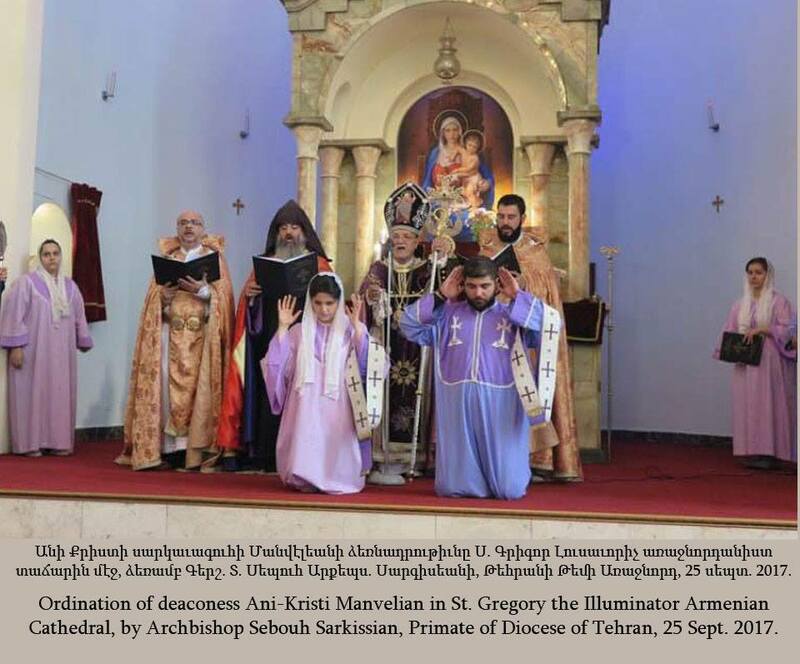 The female diaconate has been restored with the ordination of Ani-Kristi Manvelian, 24, in Tehran as a deacon for parish life who is not a nun. It is understood as a “restoring” rather than “reinstating” of the Order of Deacon for women. This act is see as a precedent. The ordination happened at St. Sarkis Church on 25 September 2017 by Archbishop Sebouh Sarkissian, the Primate of the Diocese of Tehran (Catholicosate of Cilicia). 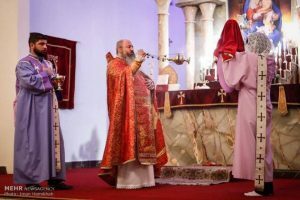 The narrative of the event was communicated by Hratch Tchilingirian on his blog. The Armenians have had a tradition of female deacons serving, like the male deacons, at the Altar.